The 1970s probably always will be thought of as the disco era. Infectious dance beats, new fashion trends and flashing, colored dance floors were disco hallmarks. 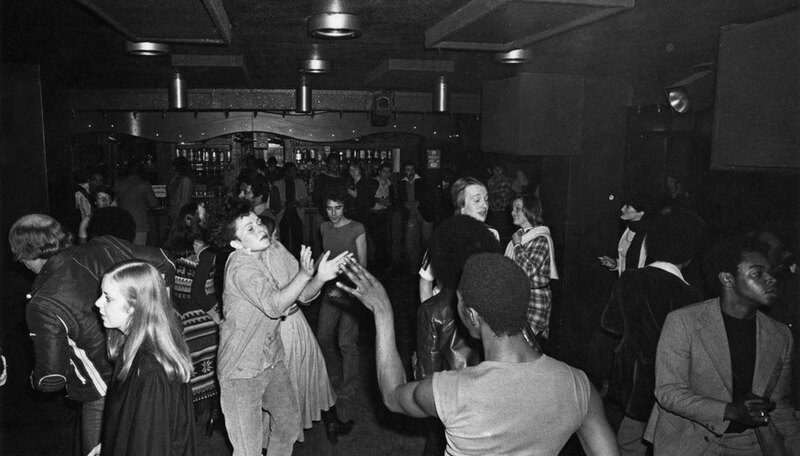 Disco music generated a number of dances that still are performed on the dance floor. Disco, however, was not the only music to lead to new dance styles in the ‘70s. Punk rock, which is at the opposite end of the musical spectrum from disco, had its dance style as well. Johnny Spruce introduced the Bump, which quickly became a dance fad in the '70s. The Bump gained traction via Penny McLean's song “Lady Bump.” The most memorable 1970s song associated with the Bump is “Give Up the Funk” by Parliament. Tina Turner also used the Bump with her song “Nutbush City Limits.” The Bump is one of the easier dances from the ‘70s; it does not require a lot of complicated dance steps. It simply requires standing next to your dance partner and bumping hips. The Village People created a dance craze with the hit record “YMCA” in 1978. The Village People was the premier disco group of the ‘70s with its kitsch and over-the-top satire of cultural stereotypes. The stereotypes originally appealed to a gay audience but hits records such as “YMCA” turned the Village People into a mainstream popular music act. Dancers move their arms to form the letters “Y,” “M,” “C” and “A” as they appear in the lyrics of the song. The remainder of the dance is done freestyle. It is one of the ‘70s dances that has outlived the ‘70s and is a frequent dance still performed at weddings and sporting events. Punk rock developed in small clubs in New York and London. Punk fans developed their own frantic dance style that came to be called Pogo dancing. It gets its name because the basic dance steps are similar to jumping up and down on a pogo stick. The dancers keep their arms and bodies rigid as they bounce to the music. The dance is aggressive as dancers collide into one another on the dance floor. Pogo dancing evolved into the moshing and slam dancing typical of hard-core punk music in the 1980s.